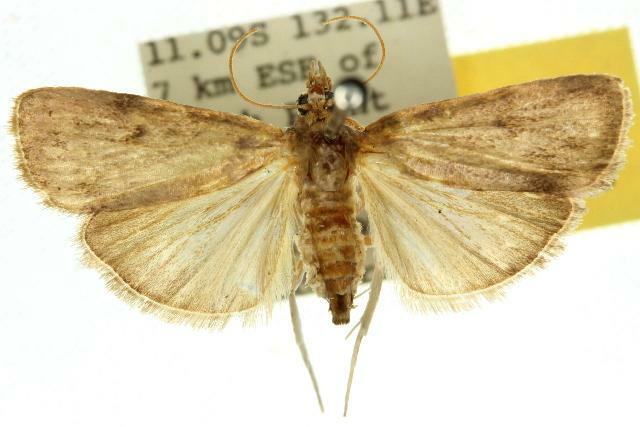 The adult moth of this species has brown forewings, each with vague markings including a dark spot near the middle, and dark marks along the costa. The hindwings are pale brown, darkening at the wing-tips. The moth has a wingspan of about 2 cms. Volume 56 (1932), p. 192.